What happens in Vegas, stays in Vegas, right? Not in this case. Let us tell you a little bit what happened during the amazing week in the crazy city of Las Vegas. SuiteWorld is Oracle NetSuite’s annual conference for #1 Cloud ERP, and it is the largest gathering of NetSuite users, partners and developers worldwide. This year’s event was NetSuite’s 8th SuiteWorld, and the venue for the event was The Sands Expo & Convention Center in Las Vegas. The message during the International PRODUCT MEETING on Monday was that NetSuite is growing globally, especially in the Nordics. A concrete example to this is that NetSuite is releasing four new user-languages in the 18.1 release and two of them are Nordic languages – NetSuite will be available in Norwegian and Finnish in the 18.1 release! The biggest highlight of the week was at the Partner Kickoff, when Staria got awarded for our work as the SUITECLOUD INTERNATIONAL PARTNER OF THE YEAR! This is a great achievement and recognition of our work, that was rewarded for us due to our efforts developing the SuiteApp localizations for NetSuite. The SuiteWorld-week could not have started better. On Monday evening Staria hosted a dinner for our customers who had attended the event. The dinner was held at the rotating restaurant in the Stratosphere Tower, 350 meter up in the air with a spectacular view of Las Vegas & The Strip. SuiteWorld is an amazing opportunity for customers to learn more about NetSuite, and network with professionals from all over the world. Our customer Napa has attended SuiteWorld already for two years in a row! With us we also had our Norwegian friends from the company Trimtex who was attending SuiteWorld to get their final answers if NetSuite is the right choice for them. By attending SuiteWorld they also got the opportunity to meet other NetSuite-customers, NetSuite-partners and Integration partners such as Celigo. 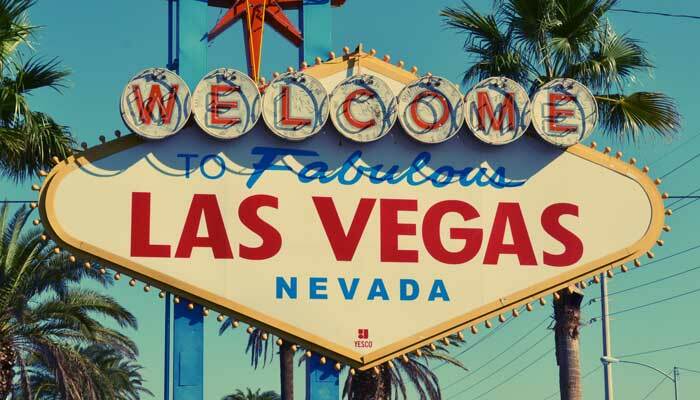 Today we at Staria are happy to announce that we are about to start a BRD-project with Trimtex already in June – it was sure not a wasted trip to Las Vegas for them! The Keynotes were as expected – spectacular but also really inspiring and informative. On Tuesday’s opening keynote, Oracle NetSuite Executive Vice President Jim McGeever explained the latest NetSuite offerings and shared inspirational customer growth stories. McGeever welcomed special guests including a designer, stylist and editor Rachel Zoe, who shared her story of how she grew her fashion collection into a style empire. Continuing on Wednesday with Evan Goldberg (Excecutive Vice President of Development & Founder of NetSuite) with a deep dive into the progress NetSuite has made in expanding the product. Goldberg told about How a System Becomes Smart and how NetSuite always has been a True Cloud solution. He also explained, that with NetSuite you can Be Global but Local. Goldberg’s key note emphasized how NetSuite is constantly developing, and that future really has huge opportunities ahead. On Thursday the Senior Vice President of Strategy and Marketing, Jason Maynard, gave the closing keynote and offered some exciting new ways how NetSuite will help customers grow. Maynard´s guest for the closing day was nobody else than, Earvin “Magic” Johnson, the Laker legend and NBA Hall of Fame. Johnson gave a really inspiring keynote about his playing career, success as a business man and current role as president of basketball operations for the Lakers. The event ended with a legendary SuiteWorld Rock Party at the Hard Rock Hotel, with big names like Blink-182 and Ludacris performing. All in all the week in Vegas was amazing, inspiring, hectic, and informative. It was great opportunity to meet a lot of different NetSuite-people (customers, prospects, partners and NetSuite-experts) from all around the world during the week. Now we are loaded with inspiration and new information about NetSuite for a year, and we are already waiting for SuiteWorld 2019.